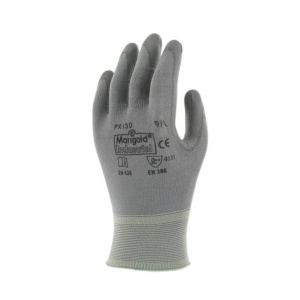 The Marigold Industrial PX130 Lightweight Multi-Purpose Gloves are nylon gloves that provide good abrasion protection thanks to their polyurethane-coated palms. Lightweight and stretchable, with ventilated backs to facilitate air circulation, the PX130 Gloves are comfortable for extended wear. 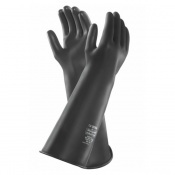 These multi-purpose, versatile gloves are ideal for general handling, general maintenance and the handling of small or fine parts. 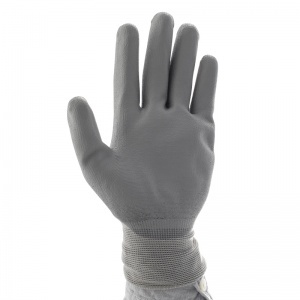 Manufactured from lightweight and stretchable nylon, the Marigold PX130 Gloves are comfortable and provide excellent dexterity. 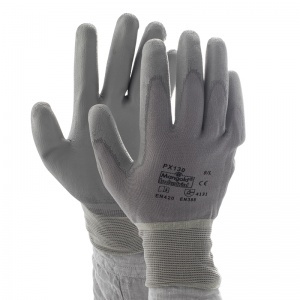 As a result, they are suitable for manual handling tasks and are less likely to cause hand fatigue with extended wear than similar, more rigid gloves. 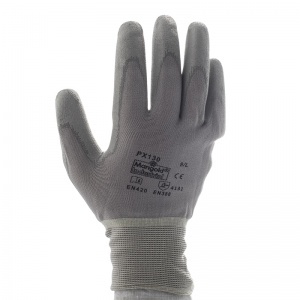 The PX130 Gloves feature ventilated backs to enable air to circulate through the gloves. 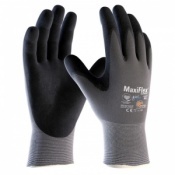 This helps to keep the user's hands cool and reduces the build up of moisture inside of the gloves for greater comfort. The table below shows the test results of the PX130 Multi-Purpose Gloves according to EN 388 Mechanical Risk specifications. These gloves are great for handling the food cans I handle at Foodbank. They are fairly thin but being rubberised they allow me to pick up 4 cans at a time without fear of them slipping. The service was great, delivered on the third day after ordering. Received in the date forecasted. Well packed in good condition. Pleased with service.